Louis DiBiccari stepped out of the kitchen last summer, after he and his brother, Michael, shuttered their restaurant, Tavern Road. But he’s back next week: DiBiccari is the latest resident chef at Wink & Nod, with a fresh, Mediterranean concept called Humaari. 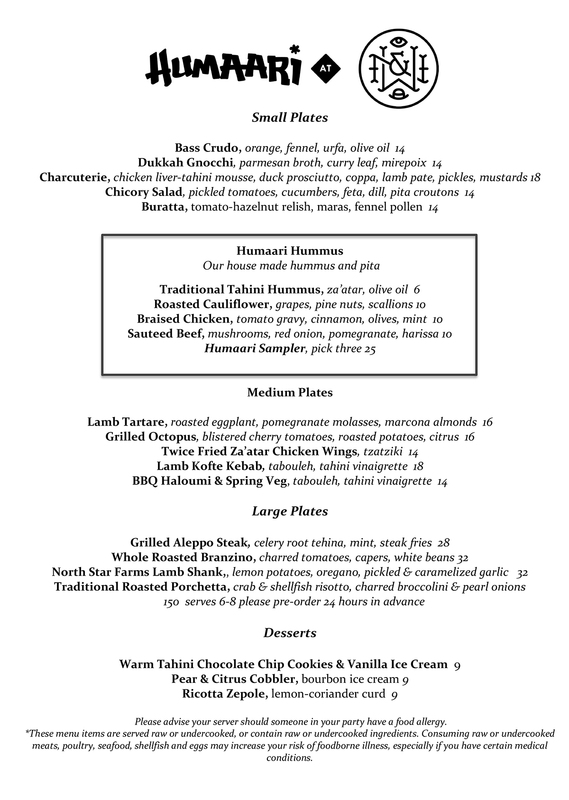 Humaari is the ninth iteration of the South End speakeasy’s innovative “culinary incubator” program. DiBicarri follows, most recently, Aaron Lhamon’s Spanish restaurant Pareja; and a track record of chefs that includes Jeremy Kean and Philip Kruta, now of Jamaica Plain’s Brassica Kitchen; Josh Lewin and Katrina Jazayeri of Juliet; Doretta Taverna chef Brendan Pelley; and Retno Pratiwi and Peter Gelling of Kaki Lima, who finish up their latest residency at KO Pies this Sunday, March 11. 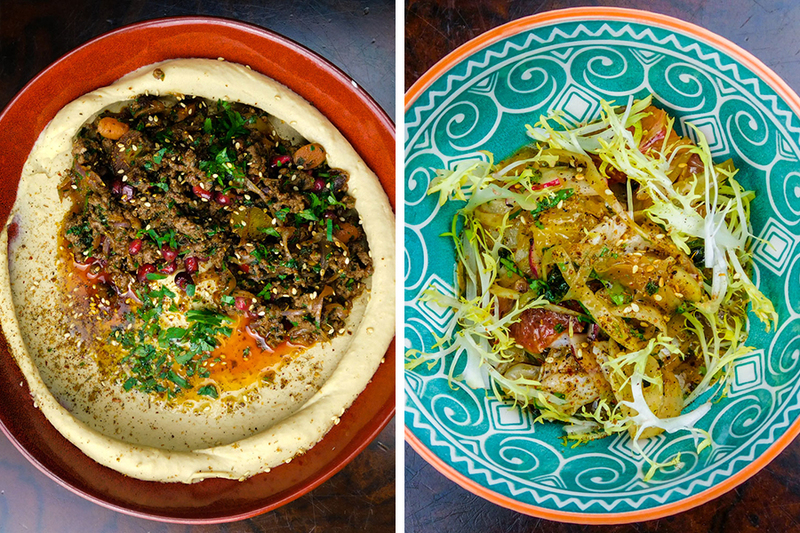 DiBiccari is workshopping a fast-casual concept with Humaari. 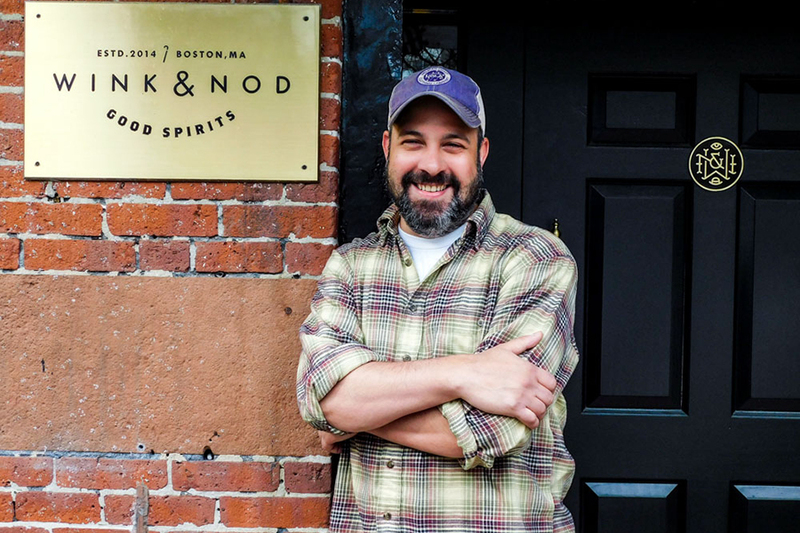 “I’ve been speaking with chefs that have come through the incubator program at Wink & Nod, and the model is a brilliant opportunity to test out a new concept in a real-life restaurant,” DiBiccari says in a press release. 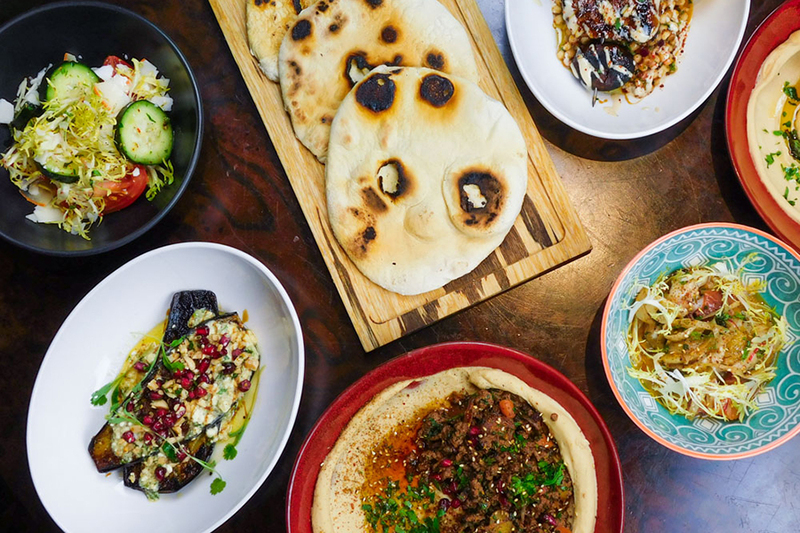 The menu centers on shareable, house-made hummus and pita, which was a focus of the Tavern Road kitchen for its final year in Fort Point, he says. But the former Sel de La Terre cook is also tapping into 15 years of relationships with local farms and purveyors, and his charcuterie, crudo, and grilling skills to round out the Humaari menu with small, medium, and large dishes. Check it out in full below. As always with a new culinary program, Wink & Nod beverage director Michael Boughton is preparing a scratch cocktail program to pair with the Humaari cuisine. Expect to see a focus on Mediterranean ingredients like tahini, black sesame, mint, and olives, in spring-and-summery drinks, like a riff on the classic Iranian beverage sekanjabin, with cucumber, mint, sugar, and vinegar. Wink & Nod’s Scotch Club will continue, as well. Humaari is in the house for the next six months, before Boston Nightlife Ventures seeks another culinary resident for Wink & Nod. The restaurant group also owns Griddler’s Burgers & Dogs, Southern Kin, and Certified Meatball Company; it just shuttered its Freedom Trail tavern, the Tap Trailhouse, to focus more on “scaleable concepts,” Eater Boston reported. Boston Nightlife Ventures is also developing two previous Wink & Nod menus, Akinto and Little Owl Tavern, into brick-and-mortar restaurants. 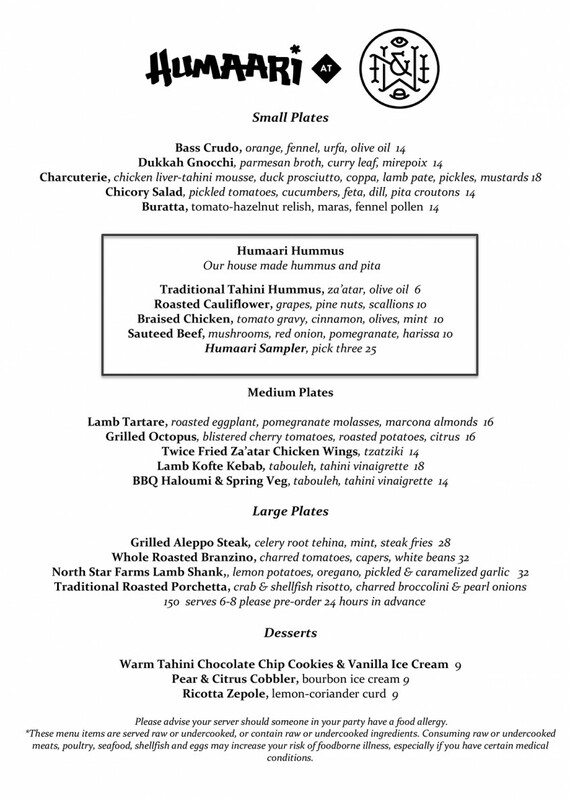 Wink & Nod is open Monday-Saturday for dinner from 5-10 p.m., with drinks until 2 a.m. Pareja’s final night of service is Saturday, March 17, and DiBiccari kicks things off with Humaari on Monday, March 19.